Left: John Gordon of Delaware pushes Maine's Andy Bedard as the duo prepare to dive on a loose ball during this Jan. 3, 2000, America East showdown at Alfond Arena in Orono. Right: Eric Fenton rolls in front of the net after getting dumped by Dan Murphy (left) as goalie Alfie Michuad watches for the loose puck in the University of Maine Alumni Game at Alfond Arena in Orono in this July 2, 2001, file photo. PORTLAND, Maine — Broadcaster Steve Martin and longtime football coaches Tim Wilson and Tom Austin are among 12 impactful people who have been selected for induction in the 2019 class of the Maine Sports Hall of Fame. The organization also will enshrine basketball player Andy Bedard, hockey standout Eric Fenton, swimmer Pat Gallant-Charette, tennis player Sam Ladd, hockey officials Wes McCauley and Jessica Leclerc, coach Wally LaFountain, athletic trainer Kevin Rand, and journalist and golf administrator Nancy Storey. The induction ceremony will be held at 2 p.m. May 19, 2019, at Merrill Auditorium in Portland. Martin is a nationally recognized broadcaster who began his career in his native Millinocket with WMKR, and spent many years in Bangor with WABI radio and TV as a sports anchor and announcer. Martin moved to Charlotte, North Carolina, in 1982 to become sports director at WBT-AM. Five years later, he took over as the play-by-play announcer for the NBA’s Charlotte Hornets and called the team’s games on radio or TV until his retirement this year. Wilson, who boasts more than 50 years in education, public service and coaching, serves as special adviser to Seeds of Peace and is the director of the Maine Seeds of Peace program. 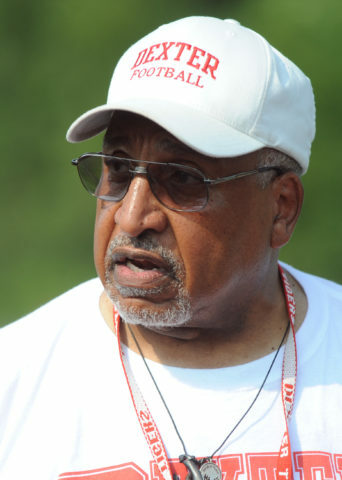 He was an outstanding coach in football and wrestling at Dexter High School where his teams won consecutive Class C football titles in 1969 and 1970. He returned to Dexter in 2006 for another five years as head football coach, and later was inducted into the Maine Chapter of the National Football Hall of Fame and the Maine High School Wrestling Hall of Fame. Austin was the head football coach at Colby College in Waterville for 18 years beginning in 1986. He retired as the winningest football coach on Mayflower Hill with 12 CBB Championships and Maine’s only NESCAC football championship in 2000. His Maine coaching career began at Lawrence High School, and he went on to be a 14-year head coach at Bridgton Academy. Bedard starred in basketball at Mountain Valley High School in Rumford and played his senior season at Maine Central Institute. He played two seasons at Boston College before finishing out his career at the University of Maine. The all-conference and All-New England choice, who owns UMaine’s single-season assists record (193), was inducted into the University of Maine Sports Hall of Fame in 2007 and into the New England Basketball Hall of Fame in 2006. 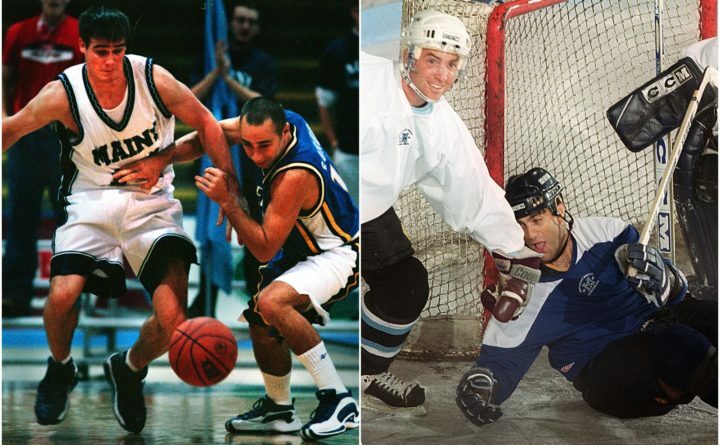 Fenton was an exceptional player for the University of Maine, where he was part of the 1993 NCAA national championship team. The North Yarmouth Academy product was drafted by the New York Rangers in 1988 and played professional hockey from 1993 to 2001. He has the distinction of being the first player drafted by the now-defunct Portland Pirates in their inaugural season. LaFountain was a fixture as a football, wrestling and baseball coach at Winslow High School from 1959 to 1968. He coached 13 wrestling state champions and two New England titlists. LaFountain’s Black Raider teams won football state championships in 1958 and 1960. In baseball, he coached multiple KVAC champions. He also officiated wrestling and basketball for many years, and is a member of the Maine Wrestling Hall of Fame. Rand was named the head athletic trainer for the Detroit Tigers in 2003 and served in that role until he was promoted in 2018 to senior director of medical services. He oversees the athletic training efforts of the entire Tigers organization. Rand previously was an assistant athletic trainer with the Montreal Expos in 2002 and the Florida Marlins. He was inducted into the Maine Baseball Hall of Fame in 2007. Ladd enjoyed a distinguished tennis career at Brunswick High School and Bowdoin College, winning four Maine state singles titles and four doubles titles from 1956 to 1959. He has played throughout his adult life, first in the military in Europe and then at the Portland Country Club where he won multiple club championships. Leclerc has climbed the ranks of USA Ice Hockey officials culminating in her assignment to officiate the 2018 Olympic Winter Games. She began officiating as a teenager at Cony High School in Augusta and continued through college at the University of Maine and Utica. Leclerc serves as the state referee in chief for Maine, and is an NCAA official who has worked Frozen Four and national title games for women and has officiated multiple international tournaments including the World Championships. Gallant-Charette is a 67-year-old retired nurse who has set multiple records around the world in marathon swimming. She has completed six of the Oceans Seven Swim Challenge and four of the Still Water Eight. On June 30, 2018, Gallant-Charette completed a 28-mile swim around Manhattan Island to become the oldest person in history to complete the Triple Crown of Open Water Swimming. She has multiple nominations as the World Open Water Swimming Woman of the Year. Storey, a three-sport standout at Greely High School in Cumberland Center, played basketball at UMaine for two years. She became a sportswriter with the Journal Tribune in Biddeford before moving into golf management at Val Halla Golf Center and Biddeford-Saco Country Club. In 1997, Story was named the Executive Director of the Maine State Golf Association and is one of only three women nationwide heading a statewide men’s golf association. Storey was inducted into the Maine Golf Hall of Fame in 2017. McCauley, who is Fenton’s brother-in-law, is the NHL’s top-rated official. He was drafted by the Detroit Red Wings in 1990 after graduating from Michigan State and played professionally for several years in the AHL and Europe. The South Portland resident followed in his late father’s footsteps and became an NHL official in 2005. He will officiate his 1,000th NHL regular-season game on Sunday, and has worked 128 playoff games and six Stanley Cup Finals. Correction: An earlier version of this report misstated Kevin Rand’s title.